Mint Condition, made in Austria by Swarovski. 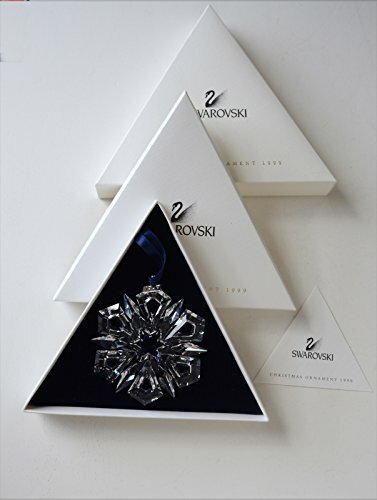 Large 1999 Annual Snowflake Ornament with original boxes and certificate. Smoke free, humidity controlled storage by original owner. This item is retired, rare and hard to find in original condition. This item has rarely been displayed. Original owner, Stored in smoke free hone, temperature and humidity controlled environment. Rare crystal ornament, one of the most valuable and difficult to find. Beautifully ornate Swarovski crystal, with silver metal year plate dangle from original royal blue ribbon hanger.